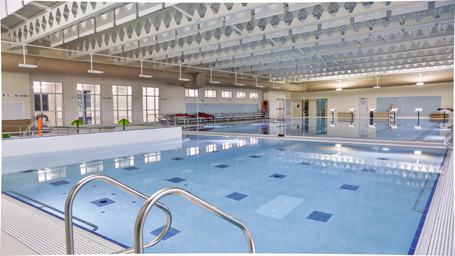 The new Jackson R. Lehman Family YMCA was created to be a fully accessible facility designed with people with special needs in mind. The Y received a generous donation of $2 million from the AWS Foundation expanding its program for people with intellectual and development disabilities helping them function at their highest potential. The 73,000 sq. 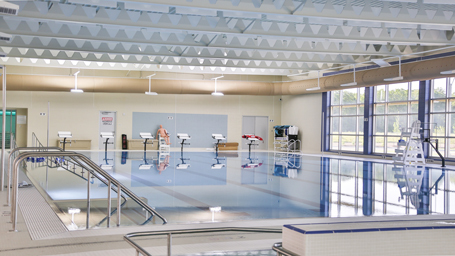 ft. facility offers two pools, wellness center, indoor track, gymnasium, community, room, teaching kitchen, chapel, and studios for spinning and aerobics. To accommodate the estimated 20,000 people with disabilities, the Y offers two special changing rooms with beds to assist caretakers, and a sensory room where children and adults with autism can adjust to their surroundings. 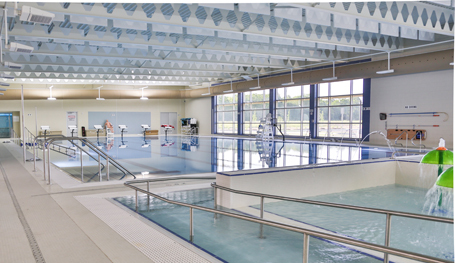 The wellness areas with fitness equipment have aisles wide enough to accommodate a wheelchair, and the facility contains an in-house physical therapy clinic operated by Parkview Health.